The Flash - Episode 1.09 - The Man In The Yellow Suit - Promo Pics. . Wallpaper and background images in the The Flash (CW) club tagged: photo cw the flash season 1 1.09 the man in the yellow suit promotional pictures. 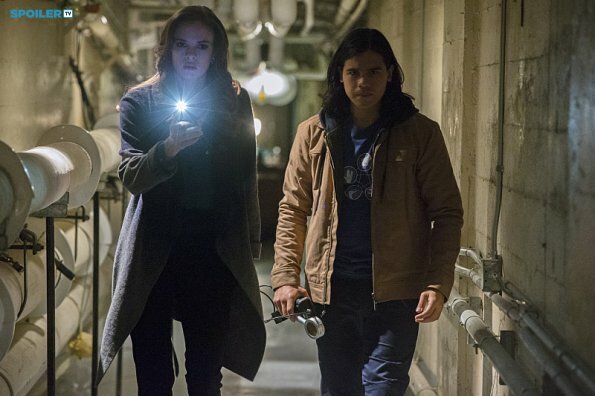 This The Flash (CW) photo might contain rue, scène de ville, milieu urbain, ville, scène, urbain, cadre, mise en scène de rue, costume d'affaires, costume d’affaires, hip boot, and thigh boot.